Oi! Where have I been? I know, I haven’t posted here in over a week, but I don’t really like to post online when I’m on vacation, but I’m back now! I was out with a group of awesome friends in Las Vegas. We had a GREAT time! 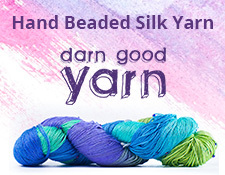 I only took one ball of yarn along and used the entire thing, making a scarf and a half. It kept me happy in our downtime out there. We spent a lot of time hanging out, both inside and at the pool that was out back of the house we were all renting. At night we ate, drank, and saw the sights. Some of us went hiking, too. 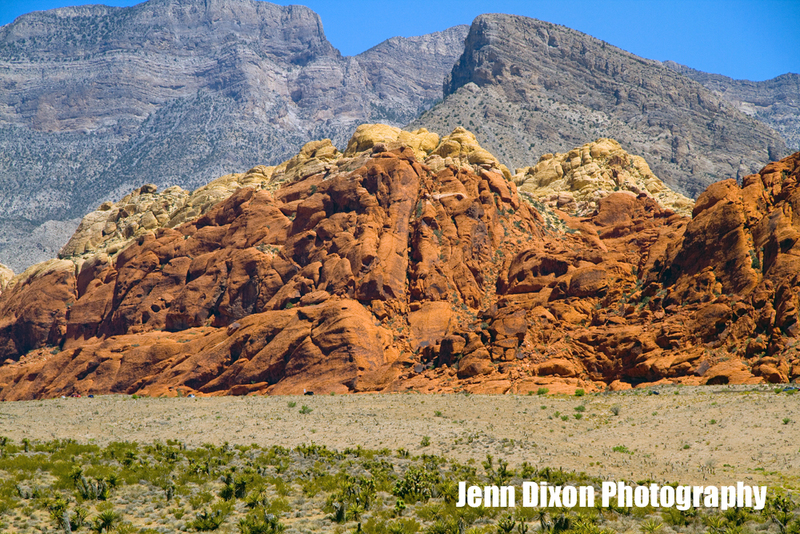 I will be posting links to more photos here eventually, but here are two for fun. 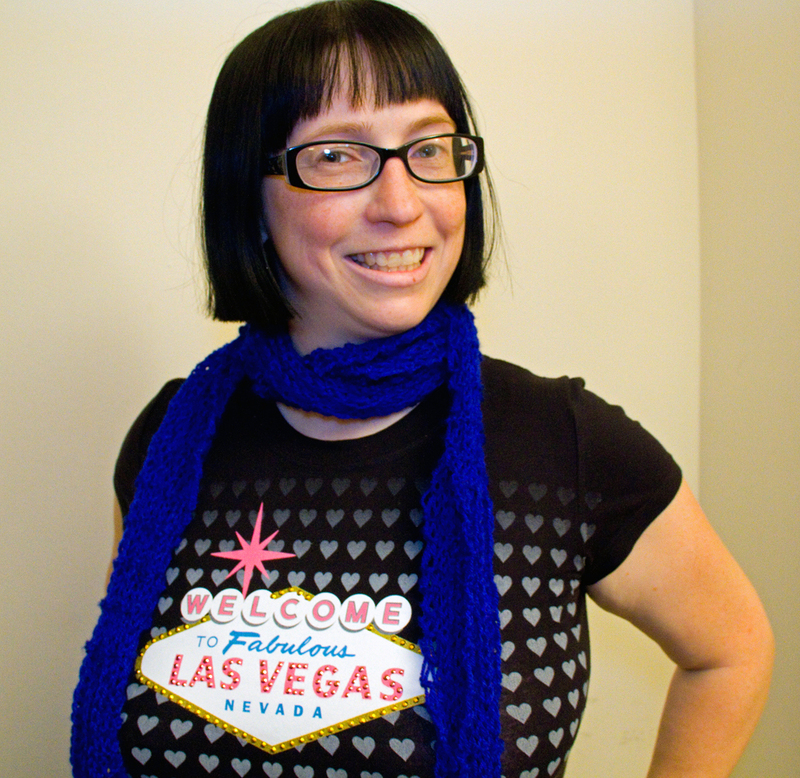 Me in my completed, and very long, scarf, and my cheesy Las Vegas t-shirt.